Chanel might be one of the world’s top fashion houses, but they’ve proven to be a formidable watchmaker as well. One of their most beautiful creations being the Calibre 3 which was introduced just this year, two years after they finally began producing their own in-house movements despite three decades of otherwise impressive luxury watchmaking. But, to understand the Calibre 3, we first have to look back on 1 and 2. The Calibre 1, which was released in 2016, was haute the minute it was released. 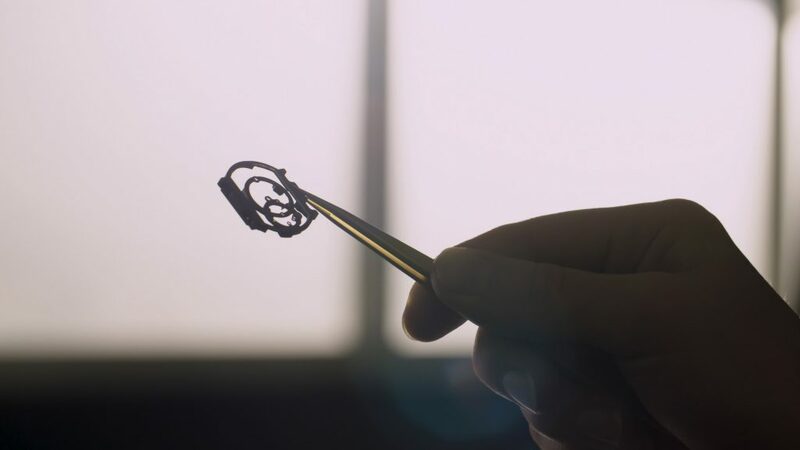 Part of the buzz was that it featured a jump hour complication and the bridges were designed by Independent watchmaker Romain Gauthier, who, actually, is part-owned by Chanel. 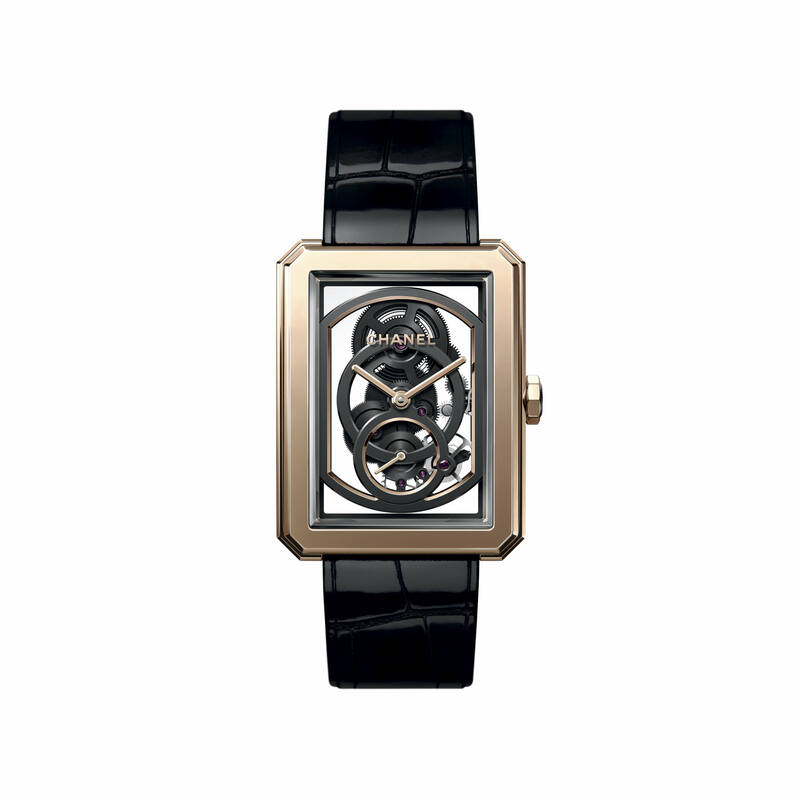 Then the Calibre 2 came along with the Chanel Première Camélia Skeleton, featuring a camelia-shaped movement. Once again, Gauthier stepped in to help out, creating the wheels. This brings us to the Calibre 3 that was released in 2018. Outfitted with the Boy.Friend skeleton case that puts the manual movement with a 55-hour power reserve, a wonderfully unique circular bridge design, and wheels without spokes proudly on display. And if you’re wondering how wheels without spokes are possible, it’s actually thanks to new state-of-the-art technology leveraged by the company. What Chanel did was galvanically grow the wheels — which is essentially 3D printing but with chemicals. It allowed the fashion-house turned horlogerie to create these extremely unique, and absolutely stunning, wheels exactly to their specifications. And to back up a little, if the Boy.Friend case looks familiar, you’re indeed having deja vu. 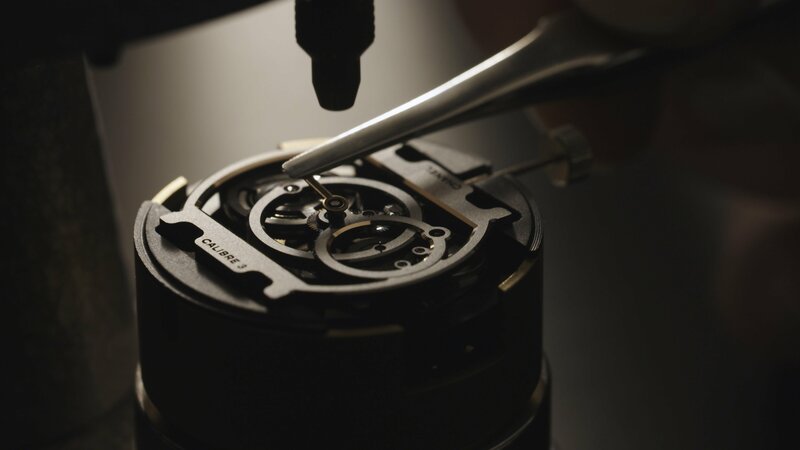 Chanel introduced the case in 2015, but back then it was surrounding a ETA 7001 manual-winding movement. Now, you look directly into the Calibre 3. Finally, we have to take a look at the pure aesthetics of this watch. If you look closely, you’ll notice that the see-through dial, surrounded by the beige gold case, doesn’t feature any visible screws and is only attached to the case at the top and bottom — making the mechanism look like it’s floating. Superb. Chanel also sprawls across the top near 12 o’clock, the two hands matching the case in beige gold, a mysterious color Chanel is keeping tight-lipped about. The look is then tied together with a simple black strap, keeping all the attention (and rightfully so) on the case. In a large luxury market filled with innovation, it somehow feels like Chanel is competing with themselves and doing a hell of a job. The last three years they’ve managed to continually impress those within the industry with not only their designs, but their technical feats. Rumor has it the Calibre 4 is already underway — and we have to say, we can’t wait to see how they’ll top this.